Gemstones are timeless treasures of nature that not only represent objects of beauty & intrigue, but also represent some of the more valuable commodities on earth. The extraordinary & satiated colors of many gems enhance their aesthetic beauty while others produce extraordinary fire, birefringence or other attractive light interference. When mankind first picked a stone from the ground for its innate beauty rather than as a tool or weapon, this symbolized an important event in evolution. When this stone was given to another as a gesture of friendship or love: an unique quality of the human soul was manifested in sharing. This evolution led to the search for similar rocks & minerals. The recognition of certain characteristics in a particular stone and its association with nearby specific rock types such as agate or jasper in grey to white rock (limestone) or quartz crystals in vugs of milky white and pink rocks (pegmatite dike), greatly enhanced the ability of the first prospectors to find additional stones of similar quality. Recognition of such mineral & rock associations signaled the start of the science of prospecting. As time passed, these primitive prospectors exchanged ideas & concepts that ultimately led to the science of economic geology. Recognizing rock and mineral associations & understanding regional geology is important in a search for new gemstone deposits. In this search, the successful prospector must not only focus on regional geology, but also on surrounding host rocks, mineral & rock associations & geological environments. Like any other mineral, gemstones grow under specific physical & chemical parameters. Some gems have innate characteristics that allow survival during weathering, erosion, stream-transportation & placer concentration. Gems may be found in igneous, metamorphic, and/or sedimentary environments & typically are associated with specific rock types & mineral suites. Unlocking these characteristics & clues can lead geologists to the discovery of additional deposits. Gemstones are sought for personal adornment & have become prized possessions of men, women, kings & queens. Some of the more exotic minerals & gems represent the most valuable commodities on earth based on size. Nothing on earth can compare to a fabulous gemstone. The rare pink Padparadscha sapphires from Sri Lanka bring high prices. But it is the blue sapphires that usually bring the highest prices for sapphire. One 62-carat royal blue rectangular cut sapphire was valued at $2.8 million. In 2007, another blue Kashmir sapphire of 22.66 carats sold for US$3,064,000, or $135,216/carat! In general, rubies are more valuable. In 1998, a Burmese ruby of 15.97 carats sold at a Sotheby's auction for US$3.63 million. 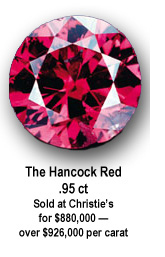 In 2005, Christie's of New York sold a near perfect 8.01-carat Burmese ruby for US$2.2 million. In 2011, Elizabeth Taylor's jewelry collection was auctioned by Christie's: one notably 8.24 carat ruby sold for $4.2 million. In 2012, the Etcetera Burmese ruby sold at a Christie's auction for US$3.3 million, an astounding $551,000/carat breaking all past records for ruby. Some jade specimens of unimaginable value have included a 1.4-inch long jadeite cabochon that sold for US$1.74 million. In 1999, a jadeite bangle only 2 inches in length & 0.3 inch wide sold at a Christie's auction in Hong Kong for US$2,576,600. 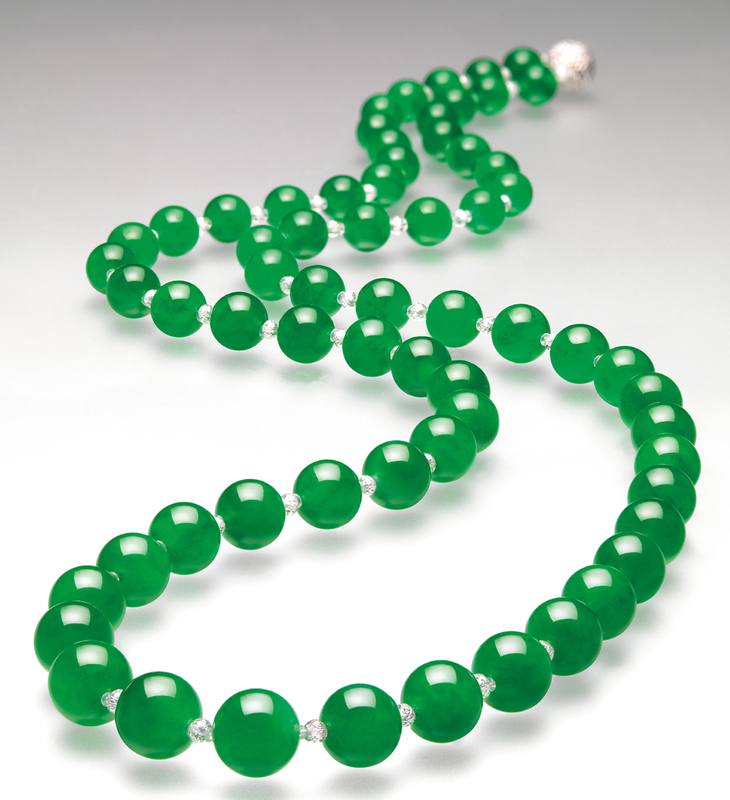 Even more incredible was a 27-bead emerald-green jadeite necklace, known as the Doubly Fortunate that sold in Hong Kong for US$9.3 million in 1997. 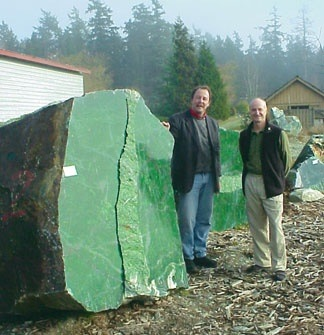 Periodically, enormous jade boulders and cobbles are found. Some of the more valuable diamonds are red & pink. A small 0.95-carat purplish-red diamond (the Hancock Red) sold for nearly US$1 million. To put this in perspective, one carat weighs only 0.2 gram (0.007 ounce). At 2009 gold prices, this diamond was valued at >200,000 times an equivalent weight in gold - a common value for flawless pink diamonds. Another pink diamond of only 24.78 carats (still very large for a pink) sold for the highest price ever at a Sotheby's auction in 2010. The winning price - $46 million ($1.86 million/carat). This beat the earlier 2008 record price for the Wittelsbach-Graff blue diamond of 35.56 carats. Still, the most notable of all diamonds was the Cullinun rough, the largest ever found at a whopping 3,106 carats. The diamond was priceless and the finished gems became part of the crown jewels of England. Many gemstones have intrinsic properties that make them attractive: others stimulate our imaginations with unique qualities. The value of some gems has reached extraordinary heights due to ingenious marketing strategies such as a group of former industrial diamonds that are now coveted by the wealthy. These include brown & very light-brown diamonds, once considered to be almost worthless, but today are marketed as rare cognac & champagne diamonds. Yellow diamonds, also considered low-value stones in the past, are now marketed as Canaries. And we are now seeing chocolate diamonds - diamonds that would have brought a bitter taste to any gemologist a few decades ago. But people are standing in line to purchase these once worthless diamonds. There is little question that the colored or fancy diamonds, now top clear stones in value. Other gems, such as green and blue zoisite, an alteration mineral, were brilliantly marketed as Tanzanite. For the economic geologist, it is important to note how valuable gems are in comparison to other commodities. Few geologists understand the value or characteristics of gemstones - a direct result of geology faculty in our universities lacking in any understanding of gemstones. 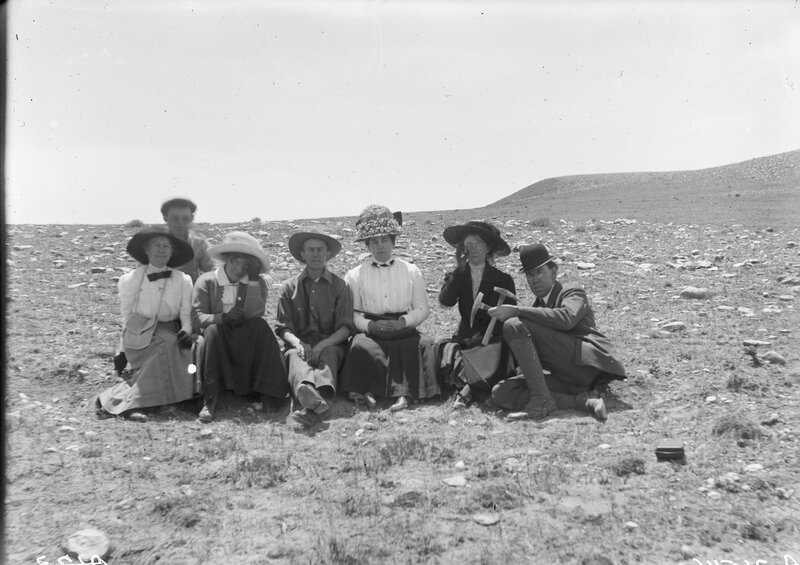 When was the last time you saw a class in the geology of gemstones? I've never seen one. Tapping into geological knowledge allows geologists & prospectors to predict where gemstones will be found and in what types of rocks will be their host. Such information can lead to significant discoveries, such as the diamond deposits of the Canadian Shield in the 1990s, the major poly-gemstone deposits (iolite-ruby-sapphire-kyanite) found in Wyoming, discovery of one of the largest agate and opal deposits in North America, and one of the largest gold deposits on earth. Predictions have been made for discoveries of very large iolite, ruby, opal & diamond deposits based on favorable geology & in some cases, have been verified. This site is for you, the layman, prospector, treasure hunter, rock hound & geoscientist. It contains information & methods used to find diamonds, colored gemstones & gold. Over the past 3 decades, I found several hundred precious metal & gem deposits including a few that are world class. Many of these sat right under the nose of people for decades simply because they didn't look or know how to search for these treasures. 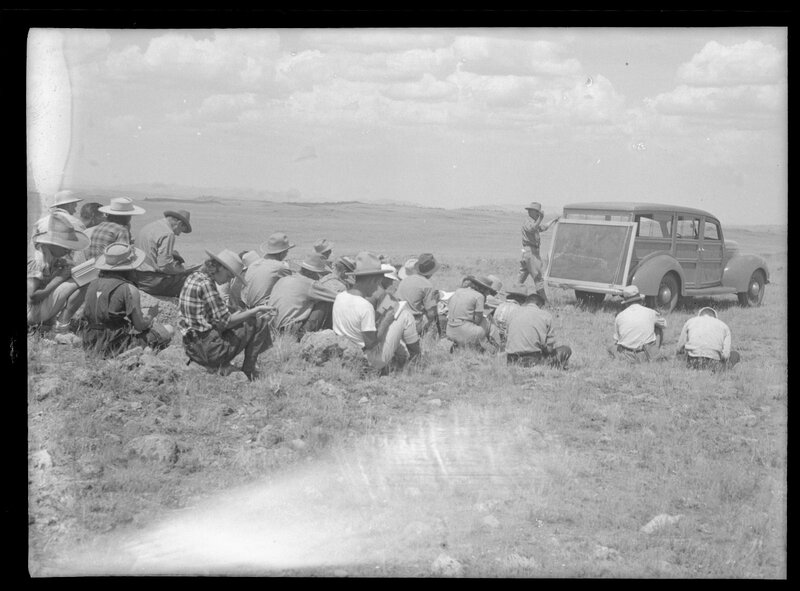 Diamond deposits were found adjacent to Interstates & US Highways in Colorado & Wyoming. World-class colored gem deposits with stones as large as Smart cars were found between 1995 & 2005 in Wyoming. The largest colored gemstone deposit in the world may also have been found in 2005: estimated to have >2 trillion carats of gems! One of the largest opal deposits in North America was found adjacent to a US Highway and within a oil & gas field used by hundreds of people every week - some opals >70,000 carats were identified in this field. More than a dozen ruby deposits were discovered including some of the larger rubies in the world simply by looking for rocks known as vermiculite schist, serpentinite and glimmerite. There are many more such deposits that you will read about on this website & how I was able to use common sense, geology & geochemistry to find these. In the next few pages, I will tell you what to look for and if you have Google Earth, and then you can fly to some sites with your computer.